Armand Pierre Fernandez was born in Nice in 1928. He lives both in New-York and the South of France. In 1970, he starts the Accumulations of concrete, which are a continuation of the work undertaken since 1964 on the Accumulations of synthetic marble. 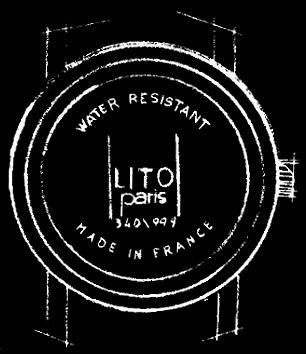 He created two well-known watches for Lito, and one for the ARTISTICTAC collection. Ben was born on July 18th, 1935, in Naples. He now lives in Nice. He is very close to the Fluxus movement. Ben created five Lito watches, and six models for the ARTISTICTAC collection. When the work of Rémi Blanchard reached the heart of the French group of painters known as the Figuration Libre in 1981, his painting had already clearly defined an effective theme rarely seen in painting of the twentieth century: gentleness towards human beings, towards animals and towards things. Corneille Guillaume Beverloe was born in Liege in 1922, of Dutch parentage. Very early, he chose to use his first name as a signature. He first belonged to the COBRA movement, created in 1948 (Copenhagen, Brussels, Amsterdam). The profound intention of this movement was to search for ways beyond the distinction between abstraction and representation. DiRosa is a French artist. He was born in 1959. "Our universe is one of boutiques and media. Contemporary Art resists the influence of popular culture, without good reason, since history shows it's wrong." Keith Haring (1958-1990) used to work and live in New York. 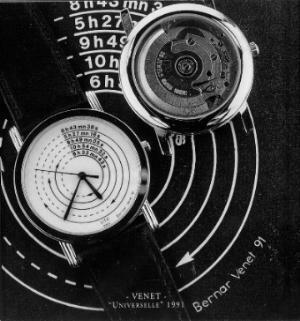 In addition to two Lito watch designs and four Swatch designs, Keith Haring created four other designs especially for a watch. These four designs are the ones of the 4 ARTISTICTAC watches. Each is limited to 10000 pieces, and each one has its number engraved on the back. These four watches are authorized by the Estate of Keith Haring.